As the Gambian election results trickled in on 2nd December, Dr Amadou Scattred Janneh was watching with his heart in his mouth. The first constituency declared at around 2am and it was won by Yahya Jammeh, the brutal dictator who had ruled the West African country with an iron fist for 22 years. The second – Jammeh, again. Dr Janneh sighed. History appeared to be repeating itself. But then the third, fourth and fifth results came in and they were all wins for Jammeh’s unlikely rival Adama Barrow, a little-known political novice, father of four and former security guard at a north London branch of Argos. Pacing the floor in his home in Hinesville, a small city in Georgia in the southern United States, Dr Janneh allowed himself to start hoping again. More results filtered through. Barrow and Jammeh reached five constituencies each. Barrow edged ahead, then Jammeh regained the lost ground. But then something extraordinary happened – Barrow stormed into what appeared to be an unassailable lead. By midday it was clear that, against all the odds, he had been elected president. One of the world’s most ruthless leaders had been ousted in a free democratic vote. History had been made. Tears streamed down Dr Janneh’s face as he contemplated a return to the homeland from which he had been banished. 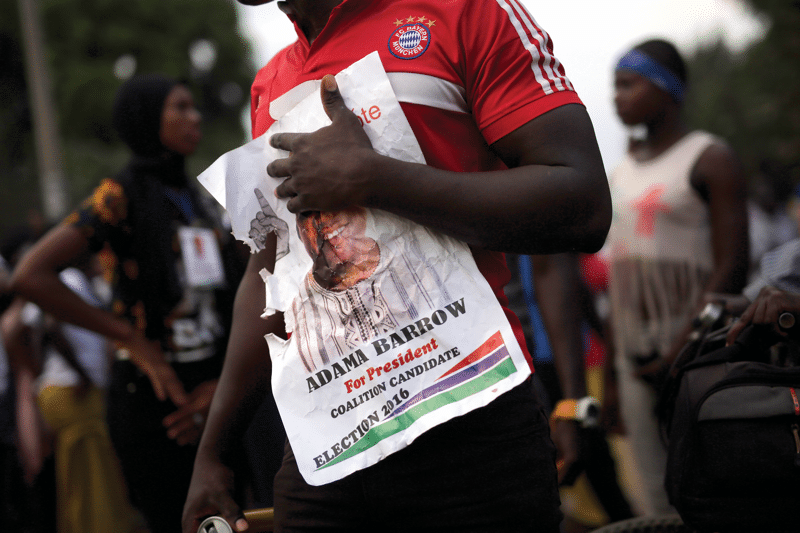 Barrow’s victory over Jammeh was the extraordinary end to a remarkable three months in West Africa’s smallest nation. It was a period that not only changed the course of the Gambia, but could also pave the way for a new outbreak of democracy throughout the region. 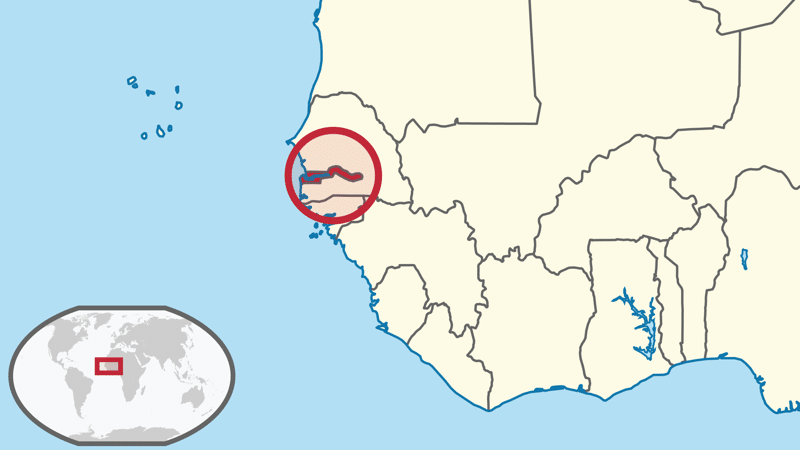 The Gambia, a narrow strip of land enclosing the river of the same name and surrounded on three sides by Senegal, has rarely attracted the world’s attention. The nation’s main claim to fame is its palm-lined coastline, which has become renowned for package holidays offering a cheap dose of winter sun to pallid Europeans. This low profile has helped to conceal one of Africa’s most brutal regimes, controlling a country in which, according to Human Rights Watch and Amnesty International, human rights abuses have long been a routine part of daily life. 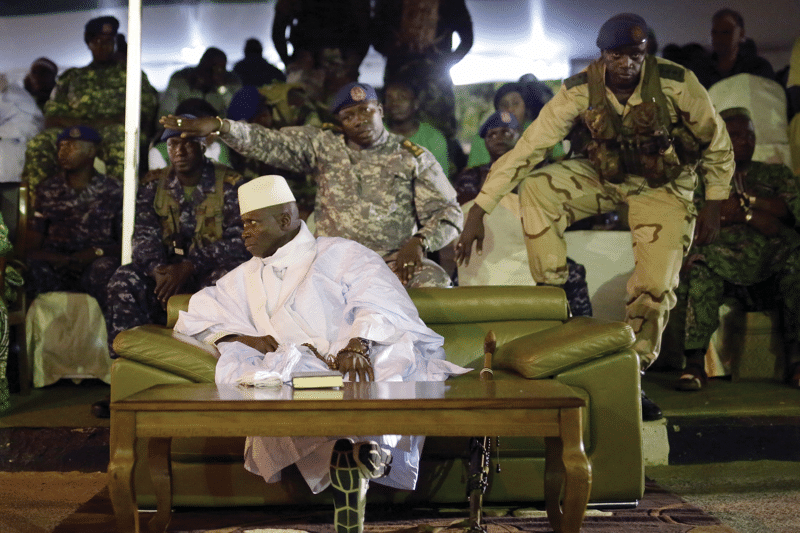 Yahya Jammeh, a squat, rotund 51-year-old in flowing white robes, ruled the Gambia like a mafia state. Those who spoke out against him would soon find security forces knocking on their door. His critics were jailed and many of them disappeared, while thousands more were forced into exile. Dr Janneh was teaching in the US at the University of Tennessee when the then 29-year-old army lieutenant Jammeh came to power in 1994, ousting leader Dawda Jawara who had ruled since 1965, when the country gained independence from Britain. 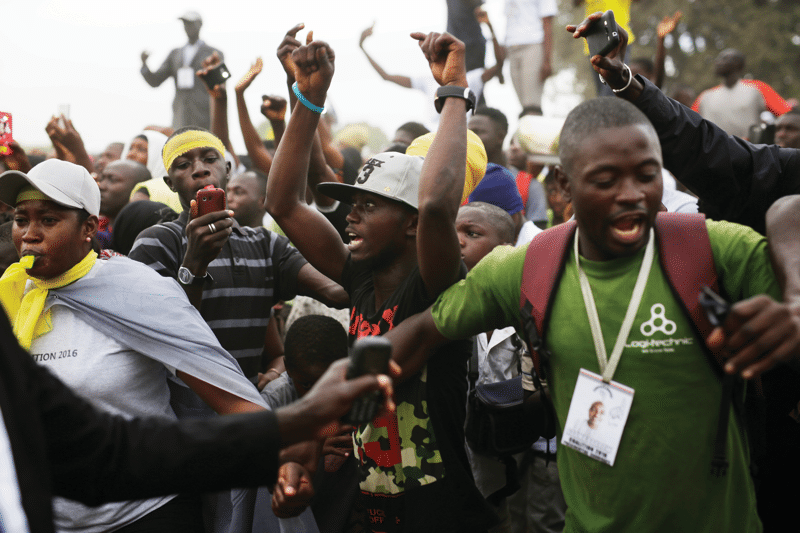 Jammeh’s initial arrival in the capital city, Banjul, brought hope to many Gambians who were yearning for change. “The country remained underdeveloped and poor and lacked infrastructure. So there was a great deal of euphoria. We had expectations that Jammeh could make a difference,” says Dr Janneh. After several decades of bloody coups d’état across Africa, Gambians were wary of sudden transfers of power. 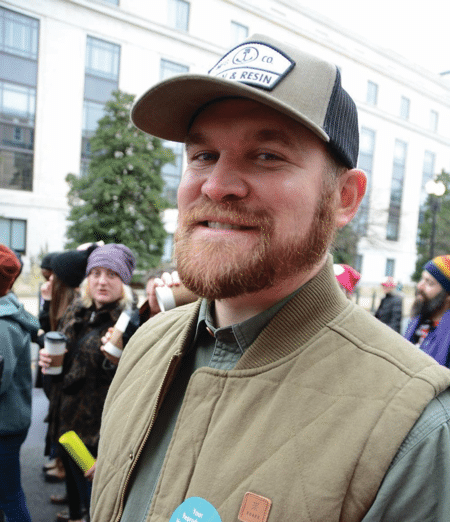 “But there was a lot of hope things would be different,” he says. It did not, however, take long for Jammeh’s true colours to show. He swiftly removed constitutional limits on presidential terms, which allowed him to run for the presidency as many times as he wished. He then set about turning his country into a place of lethal repression. Journalists and political activists were routinely detained and tortured, and opposition newspapers and radio stations were shut down. As Amnesty International put it in a recent report, “Gambia’s climate of fear was sustained for years through regular arbitrary arrests and detention, as well as routine torture. You could never be sure who would be arrested, when or why.” By 2016, Gambians had become one of the top ten nationalities risking their lives to make the perilous journey across the Mediterranean to Europe, an astonishing feat for a country with a population of less than two million. In Jammeh’s early years, Dr Janneh and others in the diaspora mounted an online campaign against the Gambian government. But in 2001 when Jammeh, re-elected for the second time, promised to turn over a new leaf, Dr Janneh returned to the Gambia full of optimism and started working at the US embassy. 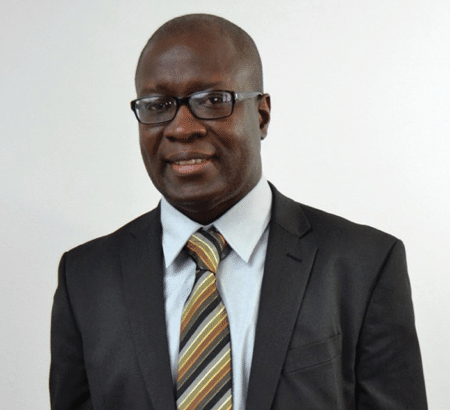 His career took an unexpected twist when Jammeh offered him the position of minister of information and, thinking he could bring about change from within, he accepted. It turned out to be a short-lived appointment. Dr Janneh witnessed the tyrannical nature of Jammeh’s rule first hand. “The cabinet sessions were unprofessional and informal. We went to meetings to be told what Jammeh had already decided. Jammeh would reiterate that he was the only one who was elected and he would be the one to decide.” Fifteen months later, Dr Janneh found himself accused of espionage for communicating with the US embassy and he was fired. Dr Janneh was charged with treason, a crime that carries a penalty of life imprisonment with hard labour. During his five-month trial he was kept in the Gambia’s most notorious prison cell. Located within the National Intelligence Agency detention centre, it is called ‘Bambadinka’, meaning ‘Crocodile’s Pond’: Janneh was kept in total isolation in a tiny, mosquito-infested space and only saw sunlight for ten minutes a day. The verdict came – guilty. “When I was given a life sentence it was shocking but I knew there was a massive campaign for my release; I didn’t think I would even spend three months in jail,” he says. But Dr Janneh spent 15 months in prison, living in grim conditions. Thanks to the intervention of Amnesty International and American activist Jesse Jackson – who made a personal plea to Jammeh during five-hour negotiations in which he argued that abuses and imprisonments were deflecting attention from any progress in the Gambia – Janneh was finally released in 2012, but forced straight on to a plane back to the US and banned from ever returning. The situation in the Gambia grew ever bleaker. Jammeh did all he could to break ties connecting the Gambia with the rest of the world, withdrawing from the Commonwealth and the International Criminal Court (ICC) and barring aid groups from entering. In 2015 he declared the Gambia to be an Islamic republic. He claimed he could rule “for a billion years”, if Allah willed it. Last year, as the 2016 election approached, Jammeh was as self-assured as ever. Another victory, which would mark his fifth term in office, was “all but assured with divine intervention”, he boasted. The man who crushed Jammeh and became the Gambia’s third president was almost entirely unheard of in the country until a month before the election. If anyone did know Adama Barrow’s name, it was likely to be through his business, local property company Majum Real Estate. But in the political sphere, the wide-eyed, round-faced Barrow was a nobody. Born in 1965, the same year as Jammeh, Barrow, also a Muslim, grew up in a small inland village before heading to Banjul for school. In the early noughties he studied for a degree in property management in London where, to fund his studies, he worked as a security guard at the Holloway Road branch of Argos and the shoe shop Office. He returned to the Gambia in 2006 where he set up home with his two wives. The security guard’s road to the presidency began when he was appointed acting treasurer for leading opposition group the United Democratic Party (UDP) on his return. Though he had never indicated he wanted to become the party’s leader, in 2016 he would be thrust into the role when he became the last man standing. Members of the UDP had routinely been jailed for taking part in demonstrations and the crackdowns intensified in the run-up to the 2016 election. In April, a UDP member allegedly died in police custody after being arrested at a protest calling for electoral reform. Then, in July, catastrophe struck as UDP leader Ousainou Darboe and 18 others were given a three-year prison sentence for taking part in a protest. In September, just three months before the election, the main opposition party had no leader. The party selection committee voted on three potential candidates, and through a show of hands Barrow took the leadership. According to coalition member Ramzia Diab, Barrow didn’t even know he was in contention to become party leader until he turned up for the vote. Had Barrow simply gone up against Jammeh as the UDP candidate, he would have been unlikely to win. Jammeh led a totalitarian regime in which patronage was dispensed in return for support for the ruling party, and had secured a wide network of loyal and influential backers. In 2001, he had removed a clause in the constitution stipulating that if no candidate received 50 percent of the vote a second round would take place. The result was widespread voter apathy. Barrow’s unlikely victory came about thanks to a groundbreaking movement among opposition parties. For the first time in Gambian history, seven opposition parties successfully put aside their differences and united in their common mission to oust Jammeh by creating a coalition under one leader. An opposition coalition had been attempted in 2006 and again in 2011, but both efforts failed as the fragile alliances between the parties fell apart. Outside the Gambia, however, hopes for a coalition were kept alive. Dr Janneh and other members of the CCG spent years travelling the world to lobby policymakers and setting up talks between the opposition parties. This time round they had a powerful new ally. Jeffrey Smith is an American human rights consultant who began highlighting abuses in the Gambia back in 2012 while working at the Robert F Kennedy Human Rights Center in Washington DC, at a time when no one was talking about the country. The bearded, quietly determined 36-year-old has been a regular face at international meetings about the Gambia for several years. Smith had worked on several countries, but the Gambian cause gripped him. In August 2014 he got a glimpse of Jammeh’s arrogance and aggression up close when he visited Washington DC for the US-Africa Leaders Summit. In 2015, Smith, together with American political campaigner Joe Trippi and PR strategist Christopher Harvin, set up Vanguard Africa, whose board includes Dr Janneh. It’s a not-for-profit organisation that provides support to pro-reform democratic leaders. Smith’s most pressing mission was regime change in the Gambia and his strategy was twofold. The first step was to train international attention on the country, in order to help prevent election rigging, to make sure abuses were exposed and, given that most Gambian media was controlled by Jammeh, to give Gambians access to information through international media coverage. The second step was to convince opposition leaders to unify against Jammeh. “The downfall of many pro-democracy movements is the inability of opposition leaders to put aside petty personal differences and understand that they agree on issues facing the country,” Smith tells me. These challenges, says Smith, are not unique to the Gambia, but have sabotaged similar efforts in other countries in the past, including Uganda and Zimbabwe where oppressive leaders Yoweri Museveni and Robert Mugabe have been in power for 30 years and 36 years respectively. The UDP’s was that, as the most popular opposition party, they should lead the opposition, but the socialist PDOIS argued for a primary to allow the public to vote on the coalition’s candidate. Everyone had their own idea of what electoral reform should look like. One particular conflict was over the 65-year age limit for presidential candidates: UDP leader Ousainou Darboe would not qualify if this remained – although this became a moot point when he was jailed. Smith and his team piled on the pressure to find a resolution. “We told them, ‘Let’s recognise the things you agree on. This is the only opportunity you have to win. You’re never going to have this amount of attention on the country again.’ My argument was that we had built this spotlight and if they didn’t act now it was their last chance,” says Smith. As the negotiations progressed, Jammeh took defensive action. In 2015 he increased the cost of running for the presidency a hundredfold to one million dalasis (£18,400) in a country where the average Gambian earns the equivalent of £370 a year. Then, between April and November 2016, he locked up more than 90 opposition members, meaning that party numbers were depleted. With two months to go, there was still no coalition. It looked like Jammeh would cruise to another victory. On 14th October the parties convened for another attempt at unification. After a final round of wrangling, a press release was despatched, saying the parties were “putting differences aside, in pursuance of the supreme national interest” and that they would elect a flagbearer. “The pressure was so much that ultimately they had no choice but to come together,” says Dr Janneh. Two weeks later, Barrow, leader of the Gambia’s biggest party, was chosen to go head-to-head with Jammeh. Aware that Jammeh controlled virtually all local and national media in the country, Smith, Dr Janneh and their fellow activists turned to social media, posting on Facebook and Twitter to canvass voters. “In past elections, Twitter wasn’t a thing. In 2011 there was no attention on the country, and no international reporters came,” says Smith. He and his colleagues paid visits to policymakers in London, Brussels, Geneva, Washington DC and New York, imploring them to pay attention to what was going on in the Gambia. They put Barrow in touch with journalists, wrote articles for international newspapers and arranged for foreign reporters to be on the ground to cover events. The streets of Banjul were electrified. At a Barrow rally in Bakau on 29th November, crowds ran through the city bashing pots and pans together and blowing whistles while shouting, “Jammeh must go! He’s a killer!” At his final campaign rally, the screaming crowds were so dense that they swarmed Barrow’s car, trapping him inside and forcing him to give his speech standing on top of the roof. The Gambia has a unique way of voting for the president. Rather than a square on a ballot paper, each candidate has a coloured drum at the polling station and voters drop one marble into the receptacle of their preferred leader. 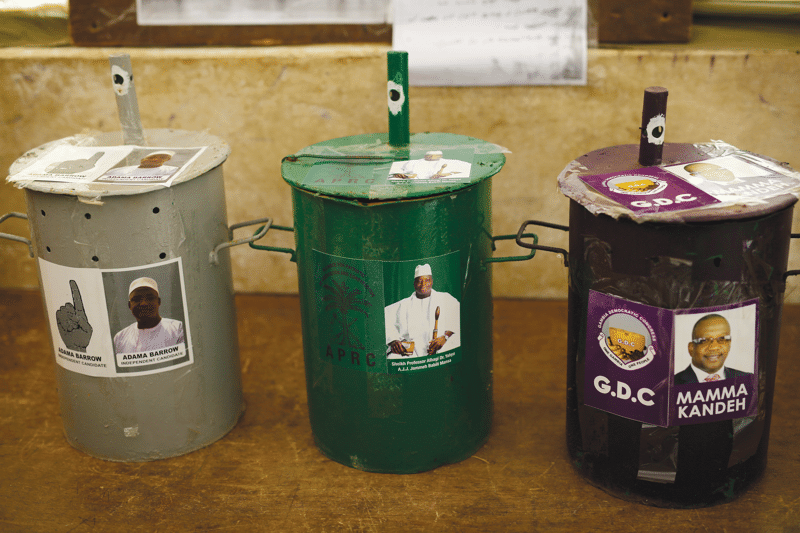 On 1st December, voters were confronted by three boxes: a grey one for Barrow representing Coalition 2016; a green one for Jammeh and his party, the Alliance for Patriotic Reconstruction (APRC); and a purple one for Mamma Kandeh, a former APRC member who formed the Gambia Democratic Congress in 2012, and who chose not to be part of the coalition, claiming his party had been sidelined in the negotiations. After two weeks in which the opposition was able to hold demonstrations without facing a crackdown, the elections were held in a government-imposed communications blackout. Election observers from the African Union were present, but those from the European Union and the Economic Community of West African States (ECOWAS) were absent. The military was deployed across the country to quell any civil unrest. Smith watched the Gambia’s election results come in from his home in Washington DC. His priority was to get the numbers out in public to prevent Jammeh from falsely claiming victory. He used his Twitter account to publicise the results, taking calls from popular diaspora radio stations to update listeners. “I was waging a war on my laptop in the dark. I hadn’t slept for 48 hours and I was getting a bit fired up. I was talking to people on Facebook Messenger, on Skype, on WhatsApp, on online radio stations and on Twitter. It was both dizzying and exhilarating,” recalls Smith. By 4pm on 2nd December the Gambia’s Independent Electoral Commission released the final results. The marbles had spoken: Barrow had beaten Jammeh by 263,515 votes to 212,099. News of the shock win and Jammeh’s concession coincided with the internet coming back online. There were jubilant scenes across the country, and Gambians abroad flooded social media with celebratory and emotional messages. “We never thought he would concede,” says Dr Janneh. “We thought he would lose and start a state of emergency. We took selfies of ourselves crying and shared them back and forth. I got so many phone calls from people congratulating us.” Dr Janneh’s mother had died in September 2016 and, as a dissident, he was unable to return for her funeral: now he planned to go home as soon as possible. After Jammeh’s concession, Smith went on air on Fatu Network, a Gambian radio station hosted by exiled journalist Fatu Camara. “She called me on my cellphone. She said my name, I said ‘Fatu’, and we started crying. It was literal radio silence, all you could hear was crying and sniffling. We couldn’t come to terms with it. My phone lit up with people calling. Tears of joy were flowing that day. It was incredible,” he tells me. The Gambia’s honeymoon period did not last long. One week after accepting the election result, Jammeh re-emerged to announce that he had changed his mind, claiming “abnormalities” with the electoral process. Jammeh’s party said it would ask the Supreme Court to invalidate the election results. But there were no judges sitting in the court, as Jammeh had fired them all. As regional and international organisations implored Jammeh to accept the result and facilitate a peaceful transfer of power, armed security forces set up sandbagged checkpoints, soldiers began digging trenches along the roads leading to Banjul and the streets of the capital emptied. Security forces seized the headquarters of the electoral commission and kicked the chairman out. Barrow was moved to a safe house after police and military refused to provide him with protection, telling him that that it was Jammeh who paid their wages. The days went by and Jammeh showed no sign of relenting. In an unprecedented move, ECOWAS, whose mandate includes maintaining peace and security and upholding election results across its 15 member countries, placed troops on standby in the event that Jammeh refused to step down by 18th January, his last day in office. Barrow went to neighbouring Senegal for a summit and declared that he would not return to the Gambia until the inauguration. Thousands of Gambians followed him into Senegal, fearing a bloodbath. Dr Janneh’s prediction sadly came true. Two days before the inauguration, Jammeh declared a state of emergency in the Gambia, which was approved by parliament and allowed Jammeh to remain in his post for an extra 90 days. Tourists were gathered up from the beaches and hurried on to planes back home. ECOWAS-backed Senegalese troops gathered on the borders. On the day of the inauguration, Jammeh refused to budge. West African leaders continued to conduct shuttle diplomacy in an attempt to persuade him to effect a peaceful departure from State House, the president’s official residence in Banjul. ECOWAS chair and Liberian president Ellen Johnson Sirleaf arrived with the presidents of Mauritania and Guinea for last-minute talks, threatening to remove him by force. 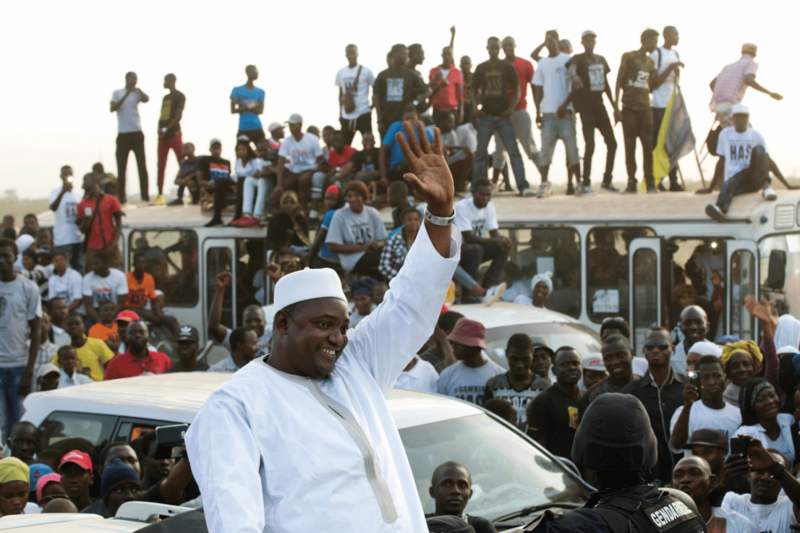 Instead of his public inauguration at the Independence Stadium, Barrow was sworn in at the Gambian embassy in Senegal. Sixty-nine hours after his mandate had expired, Jammeh left State House to go into exile. His destination? The infamously repressive Equatorial Guinea, where Africa’s longest-serving president, Teodoro Obiang Nguema Mbasogo, welcomed him with open arms. Barrow has already stated that he will reverse many of Jammeh’s actions, will rejoin the Commonwealth and the ICC, and will establish a two-term presidential limit. Every aspect of Gambian life needs attention, from education to jobs to the judiciary. His campaign pledge was to provide free education and affordable healthcare and to revive the economy, but time is short; under the coalition agreement, he only has three years in his new role. Funds are also tight: decades of mismanagement have left the country “virtually bankrupt”, according to Barrow, and the coalition government has uncovered Jammeh’s theft of £8.8 million from the public coffers. “The priority for the three-year period is changing the constitution and doing away with laws put in place by Jammeh, and investigations will be important,” says Dr Janneh. 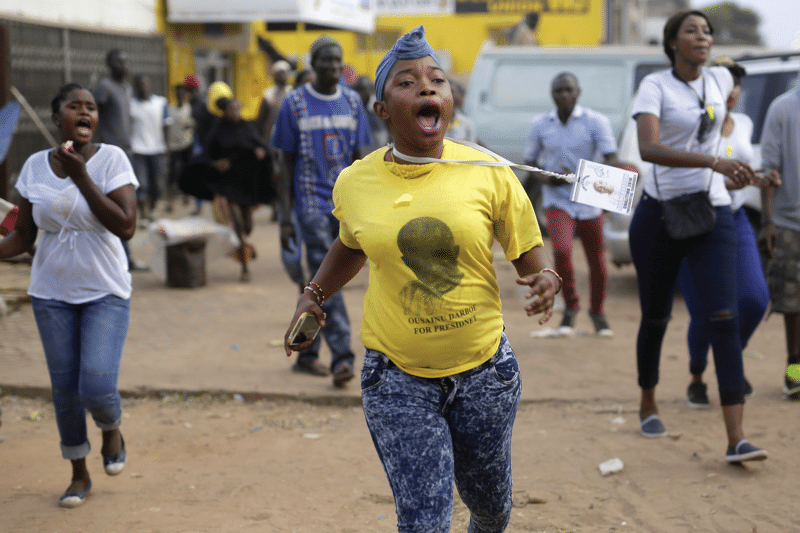 The Gambian election result was more than a national victory – it also brought hope for a broader wave of democratic reform across Africa. Smith and Dr Janneh are hopeful that what happened in the Gambia can be a blueprint for ousting leaders in other repressive regimes on the continent. Vanguard has strict criteria for potential projects: leaders must show unwavering personal commitment; have a record of public service, accountability and ethical leadership; display a commitment to transparency and a fair election process; and offer a realistic plan to improve their country. Inevitably, an organisation fronted by three white American men consulting on African issues has faced accusations of being a neo-colonial mission. Sallah warns that while outside influences are crucial in exposing injustice when there is no information being shared within a country, reform only comes from within the institutions themselves. “There is no doubt that when international solidarity is consolidated then all those oppressors anywhere will find it difficult to survive, but the essence of change is always internal,” he says. This entry was posted on Tuesday, April 25th, 2017 at 3:23 pm and is filed under From the archive, Stories.